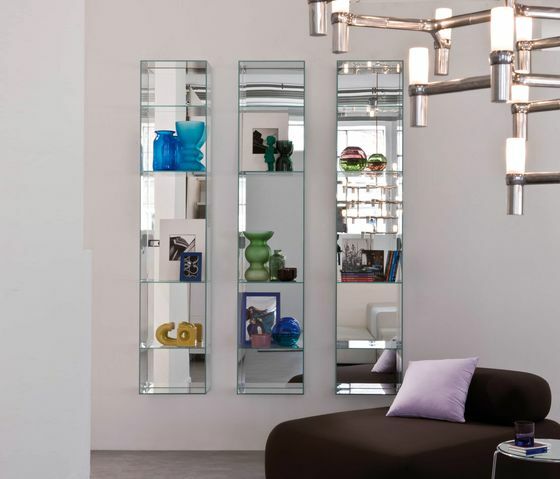 By definition, the completeness of Miss programme is confirmed by its bookcases which are realized in glass and with a mirror back panel. They give brightness and personality to an empty wall without any claims of immortality, be they on the floor or on the wall, on a horizontal way or on a vertical one. The function of containing objects becomes an additional gift to the real domestic service.